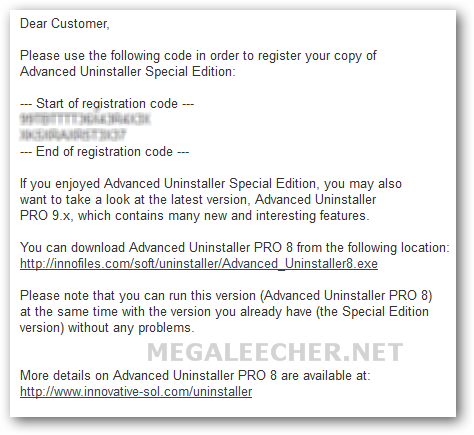 Looking for a complete utility suite for uninstalling applications and keeping your computer fast and clean, Advanced Uninstaller PRO is for you. 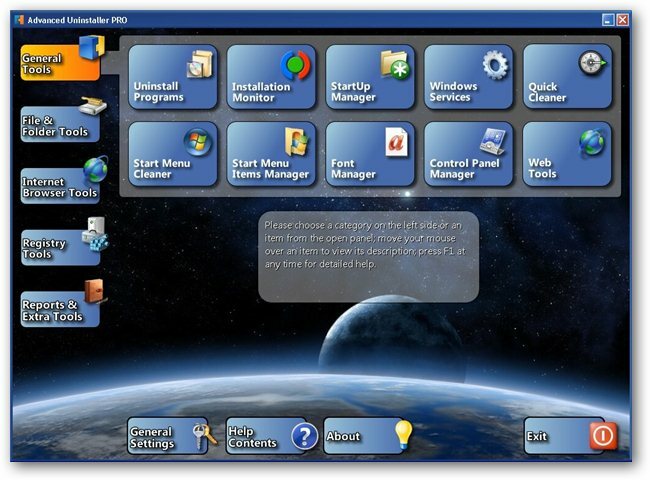 You can not only uninstall programs quickly and completely using its simple and intuitive interface, the utility also comes with an "Installation Monitor" which keeps an watch on all actions performed by an installer so later it can be completely uninstalled, making sure nothing is left behind leaving any trace. Apart from the uninstaller module, the utility features Services Manager, Duplicate Files Manager, Startup Manager, Registry cleaner - optimizer, defragmenter, and backup tools. To benefit from the promotion simply register at the - promotion registration page here. That post is 8 years old !! But where is the Download link of the "Advanced Uninstaller Special Edition"? I don't think it works for anyone. I cannot get the AUSE to work with reg. code I received. I would like free version of 10 not 8 which does not work with Windows 7 64x. I Downloaded Advanced Uninstaller from the site I was given. I have today just installed uninstaller pro 8 that you informed me of, and the down loaded the free s/n and it DONT WORK. please help . BUT the app does not recognize it as the right code ! The key is not for pro edition but its for special edition. Megaleacher please change your title as free key will not work for pro edition. not license with with me. i am downloaded advanced uninstaller but not giving me a license key, not emailed to me. so i can not operate this. Maybe test these things before you post. Just sayin. The got my info and I got nothing. Good advertising for a piece of c**p company, and I will exercise word of mouth. Megaleecher should vet these offers before offering them as valid. I paste the code received by email, says next time i start program should be registered. Open program again even after rebooting...says not registered!!!! What do i do now???? I would like the key please. Please send the information to get this product free ....Thanks for your time..
please provide the above subject registration code.